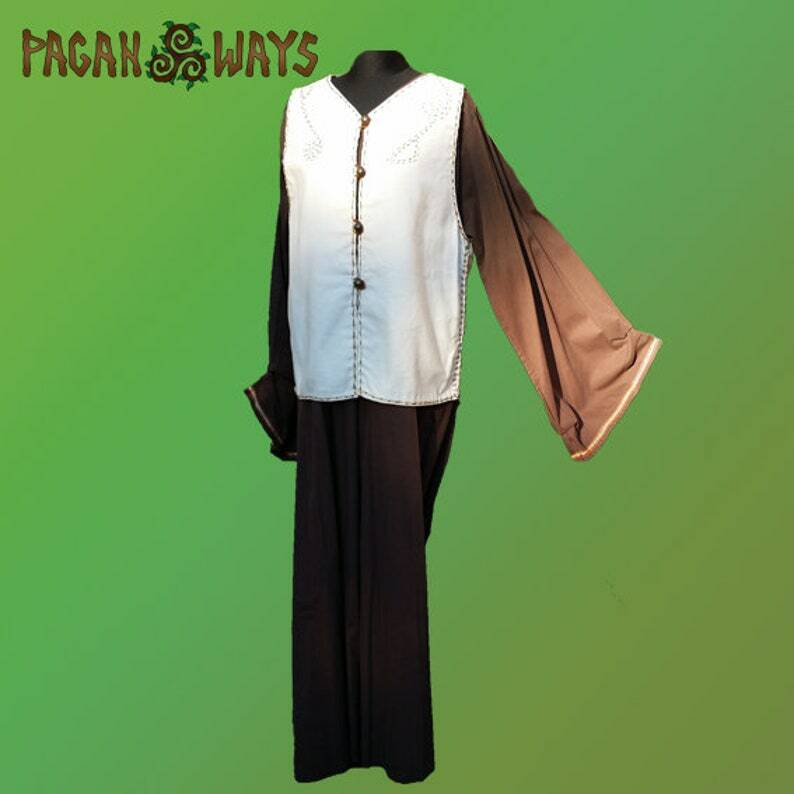 Handmade and unique brown fantasy dress with a white jacket, made by Pagan Ways. It contains a dress and a jacket. 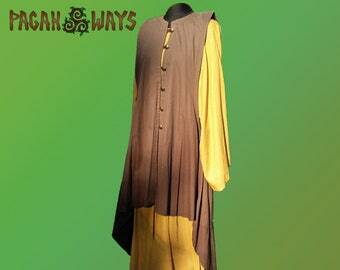 The jacket is decorated with embroidered musical symbols such as a clef and spirals.